The airport is serving Sunyani, capital of the Brong Ahafo region, mid-western Ghana. 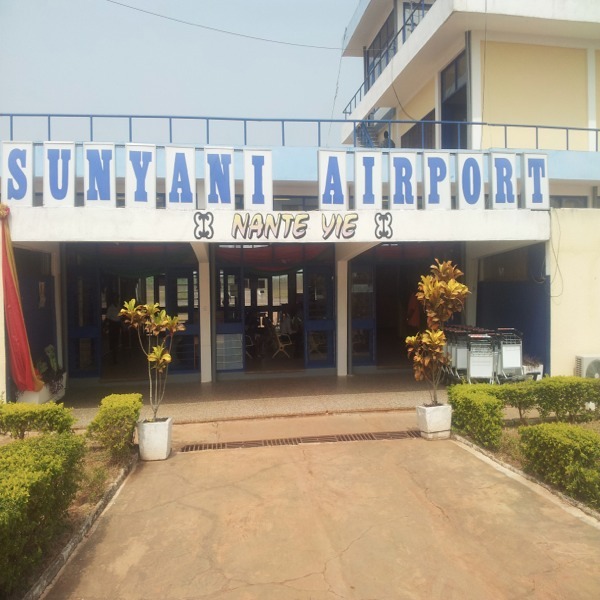 Sunyani Airport dates back as 1942. This page has MOVED to GhanaFlights.info - See Here For More Information`s about Sunyani Regional Airport! The 1288 meter runway cannot be extended due to a gully at one end and a hill at the other. This limitation renders the airport unsuitable for use by medium range jets. Still smaller aircraft is using Sunyani Arport. The Airport is under the management of GACL. Four new flights weekly, to Sunyani - Sundays, Mondays, Wednesdays and Fridays.